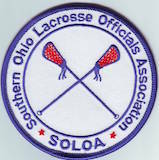 This is a reminder to everyone that the lacrosse official’s uniform will change in 2018. For all varsity games, we must wear the 2.5” striped shirt. Sub-varsity can be either shirt. Right now, Honig’s is offering a 15% discount on the shirts. If you order now use promo code: LOYALTY.